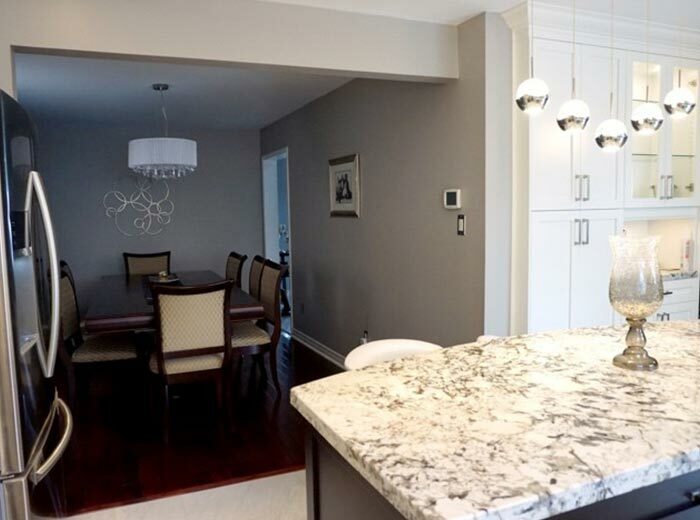 To transform the original dated kitchen & breakfast area into an open concept transitional style kitchen, two walls were removed, creating a spacious, elegant and inviting vocal point for gatherings. 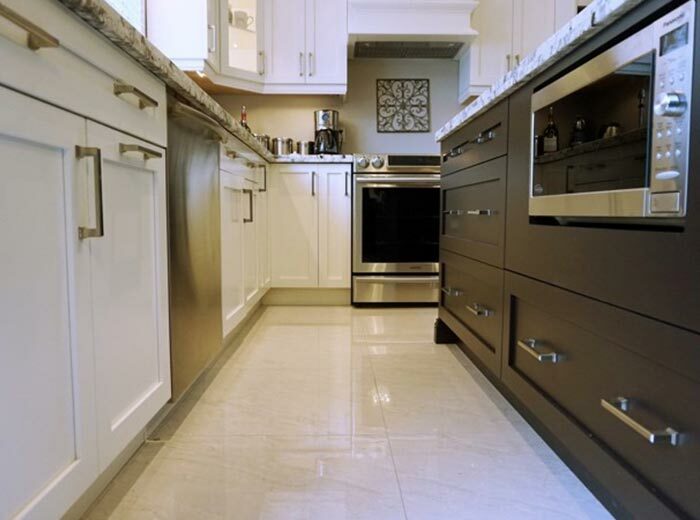 Shaker style doors complete with custom handles are made with solid Canadian maple, painted in white. 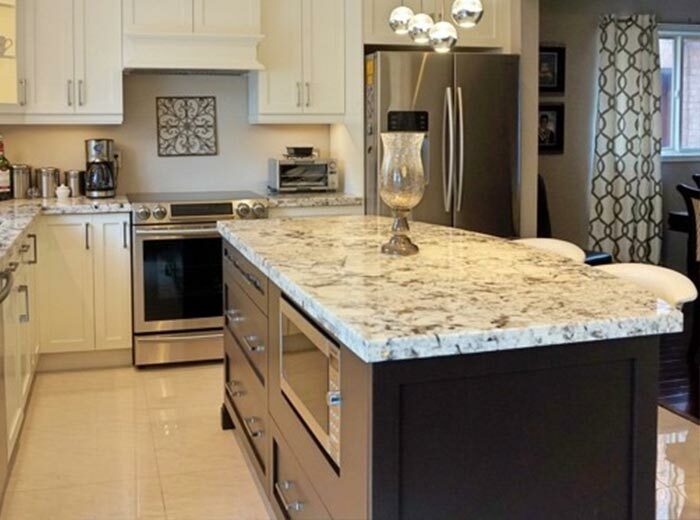 Alaska White granite was chosen to compliment both the white cabinets and the custom made mocha stained island. 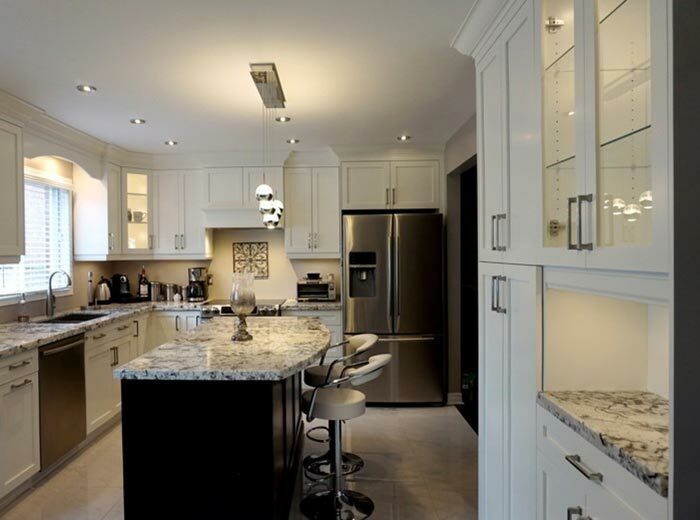 Additional storage can be found in the island as well as a built in microwave to save counter space. 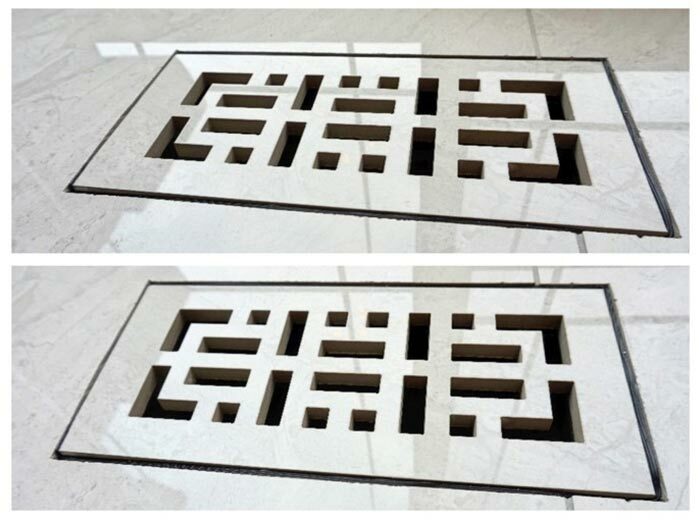 Porcelain tiles imported from Italy are used throughout the kitchen floor along with custom tile-vent made by an experienced Millo Kitchen tile-setter. A full floor to ceiling cabinet complete with custom glass doors stand on its own along the wall framing the entrance to the dining room. 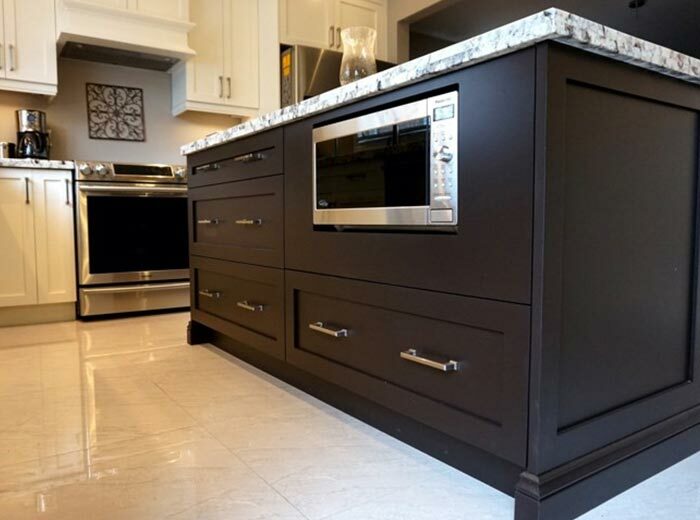 Custom island stained in mocha with microwave. 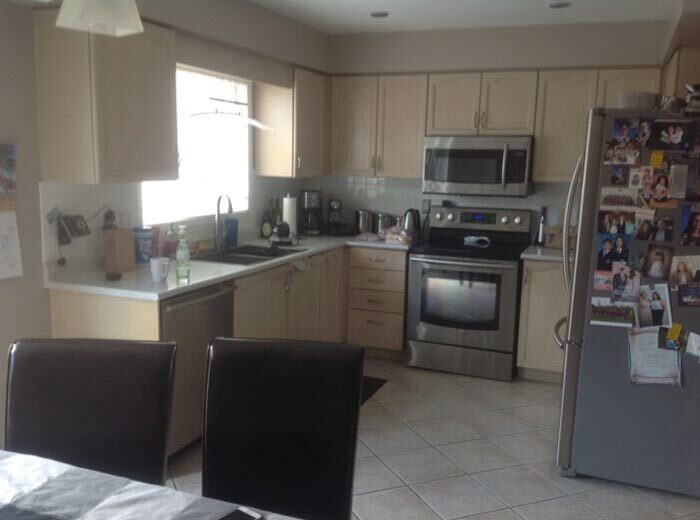 2 walls were removed to create an open concept kitchen.